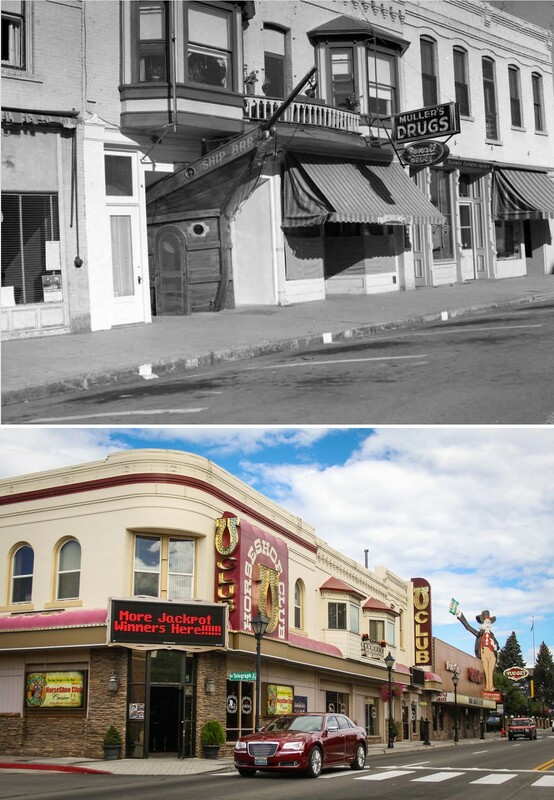 There have been countless bars that have come and gone over the decades in Carson City. Most of them were unremarkable, holes in the wall where people would go to forget, which is why we have no memory of them now. Looking back through pictures, though, a couple of them stand out for one reason or another. This is the Ship Bar in the 400 block of North Carson Street, another place that would be completely forgettable if it wasn’t shaped like an actual ship. Somebody had a little imagination when they fashioned the front door to be the prow of the ship, sticking out of the building. I wonder if the theme extended inside; we can’t be sure because I’ve never seen any pictures of the interior. It looks small, wedged in between storefronts. And like most of the other bars downtown, it has been gone a long time. This whole row of buildings is now taken up by the Horseshoe Club casino. The exterior facades are still more or less the same as they were in the middle of the century, but the interiors have been gutted and combined into one big casino space. The old Ship Bar entrance can be seen underneath the double bay windows. Now it’s just a blank wall with a window, letting a little light into the casino. 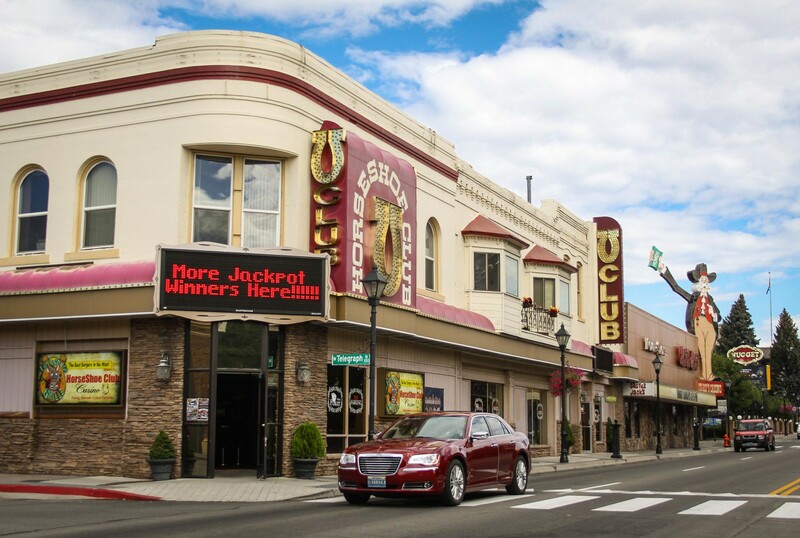 There is no trace here of Carson City’s maritime heritage. just last week my brother-in-law, William Hancock was telling me about the time his father, Len Hancock and a friend, Earl Corbett who built the Ship Bar! 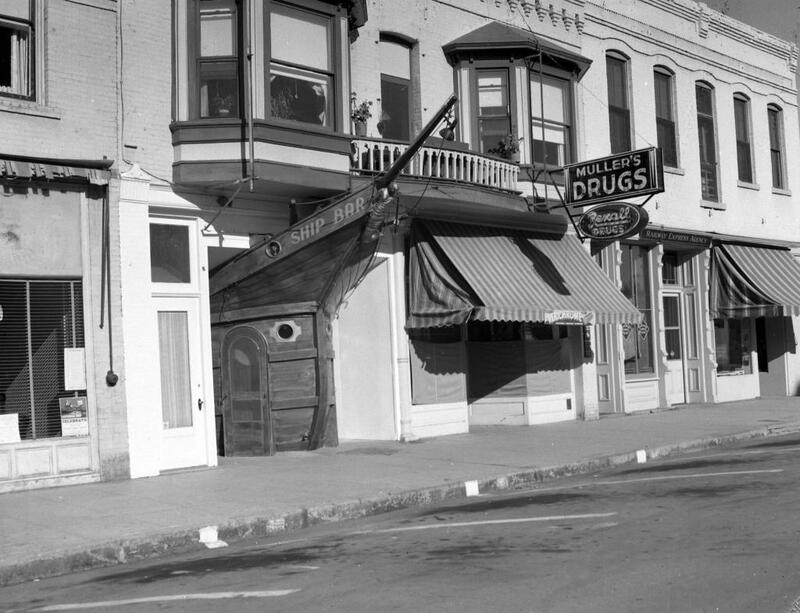 Len and Earl went to San Francisco and bought the prow of a ship, brought it back to Carson and opened and ran this bar! I Thought this was an important part of this history. My grandfather, Walter Travis, was a bartender there!